Create your own webpages just the way you want them using a range of professionally-designed templates. And all without any programming knowledge. 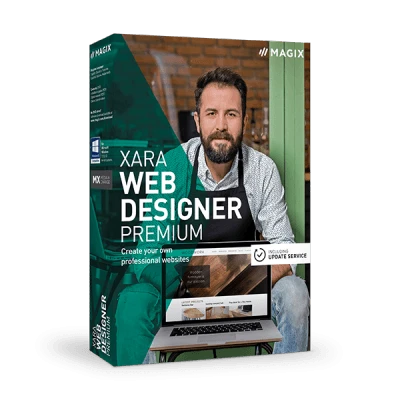 Whether you're on the search for an elegant or a cool design, Xara Web Designer has the right one for your needs. Simply choose from a wide selection of great templates and get started. The intuitive drag & drop principle lets you easily drag items you want, for example images and text, from the Online Content Catalog* to the perfect spot. The difference is in the detail! Adjust the color scheme of an image and customize the design of your website with just one click. Make your website live in no time at all! 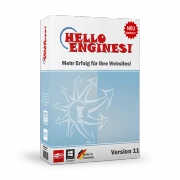 With or without a template, even as a beginner you can create a website without any problems. Web Designer enables you to create multiple versions of a website, for instance desktop, tablet and mobile versions which you can export as a single HTML file. Display your website correctly on any end device from PC to smartphone and tablet. It's easy and no programming knowledge is required. Transform your photos into true works of art. Change the structure of an image or modify colors, contrast and brightness to achieve custom, one-of-a-kind effects. SmartShapes are an amazingly quick and easy way to create and edit some of the most commonly required elements on your site. The Online Content Catalog has a variety of templates ready for you. Pictures breathe life into websites. Web Designer offers you more than a million photos and illustrations to choose from, all of which you can use for free and even commercially. The right Content for any topic: The Online Content Catalog** contains more than 180,000 graphics and illustrations that you can integrate perfectly into your website. Customize your web appearance with one of over 200 additional industry-specific website templates. Give your website the right look. Whether for your own travel blog or a consulting agency – all templates are 100% customizable according to your wishes. Parallax scrolling brings dynamics and depth to your website. With the help of fades and animations, individual layers move at different speeds. Use the object reveal effects to fade in elements as soon as the corresponding area in your browser becomes visible. Fix elements such as navigation bars to a position on your website. Sticky objects are unaffected by scrolling and remain visible at the same position. Put perfect focus on your pictures and use the entire width of the screen for your photo sliders. Design the slider as you like – with a prominent call-to-action button and customized header that jumps right out. Transform your photos into visual highlights. Easily customize colors, contrast and brightness directly within the program or apply high-quality photo filters for a brand-new look. Upload your website with just one click. We want to make sure that you're focused on your website's design while we take care of the rest. With the Premium Version, you get 2,000 MB online disk space and your own domain free for 1 year. You can also add the following additional elements to your website. Use social media to grow. Some templates have been specifically tailored for businesses and offer an industry-specific design. Expertly share your content using widgets, icons, buttons and navigation bars. Your post for Facebook is ready. Need a post for Instagram too? Adjust and resize posts for use on other social media platforms in just a few clicks. Text and graphic elements are automatically adjusted and scaled perfectly. Present your latest ideas as a professional presentation. Choose from a wide range of themed templates and customize your graphics and layout to suit your needs. To get noticed, you need to stand out. Distinguish yourself from your competition and create the website that suits you best. Integrate graphics, photos and dynamic effects artistically and surprise visitors with even more variety, diversity of themes and exciting elements. The comprehensive Online Content Catalog** lets you access more than 1 million photos and illustrations for personal or commercial use. 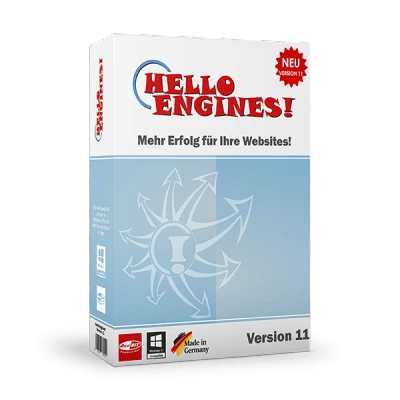 * The offer includes one domain with one of the following endings: .com, .de, .net, .org, .at, .be, .biz, .ch, .co.uk, .es, .eu, .fr, .info, .it, .name, .nl. After the contract is terminated, you may continue to use the domain(s) according to the applicable conditions (special offers are excluded). The offer is limited to a duration of 12 months and is renewed automatically if not terminated 8 weeks before the end of duration. The terms and conditions of The Xara Group Ltd. apply, which may be read at www.xara-online.com. The payment for the total amount is made at the time the contract is signed, and thereafter each time it is extended. ** 1 full year of access to the Online Content Catalog. After the first year has expired, the offer can be extended for a discounted price. *** With the update service you will receive one full year of new features and updates for free, which can be used indefinitely. If you reinstall the program after one year, you will have access to the basic version without Update Service. After the one-year update service has expired you can extend it for a discounted price.